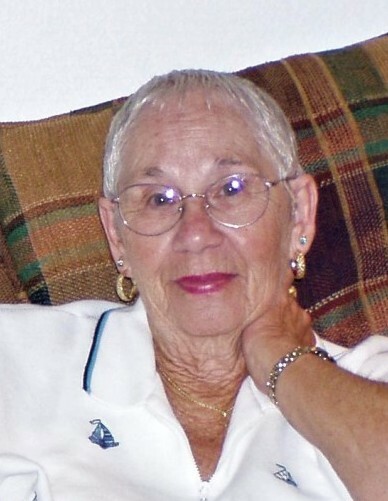 Betty J. Fuse, age 92, passed away peacefully at Magnolia Assisted Living Facility, Daytona Beach Fl., on March 4, 2019, under the care of Kindred Hospice . Born November 19, 1926 in Chicago, Il., to the late Wayne Beebe and Rose (née Matzelle). Betty was a long time resident of Joliet, Il. Preceded in death by, Joseph, her beloved husband of 69 years . Upon retirement from Jewel-Osco Food store in September 1986, Betty and Joseph relocated to Port Orange Fl., enjoying many wonderful years golfing, spending time at the Disney attractions and the beautiful beaches of Daytona. She will be remembered most for her beautiful crocheted gifts she would lovingly make for her family and friends. Betty was preceded in death by, her sister Harriet ( Robert) Alexander, five brothers Wayne (Ann), Beebe, Richard ( Josephine) Beebe, Norman (Polly) Beebe, William (Betty) Beebe, Clifford Beebe. Betty is survived by two daughters, Sharon (Richard) McGinty of Beavercreek, OH, and Pamela (Frank) Pavlich of Port Orange FL; three grandchildren, Dawn McGinty, Heather (Ronald McDonald) McGinty, and Greg (Kathy) Pavlich; four great grandchildren, Patrick Clark, Kyle Clark, Hannah Clark and Nick Pavlich, one great great grandchild Halo Rose Clark; as well as numerous nephews and nieces. A celebration of Betty’s life will begin with a Mass of Christian Burial held at Our Lady of Hope Catholic Church, Port Orange, Florida on Tuesday, March 26, at 8:30 a.m. Interment at Abraham Lincoln National Veterans Cemetery in Elwood, Illinois at a later date. Per Betty’s wishes, cremation rites have been accorded.